Create new department, modify and delete department. Assigned & un-assign employees to/from the selected department. 5. Click on the “Revert” button to undo changes. 2. Update the information required. 2. 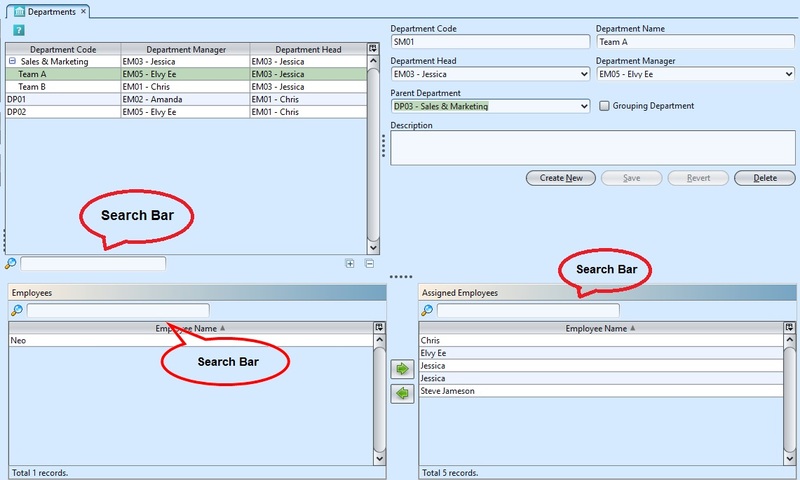 Type in search criteria; for example the department code, employee name, department head or others to filter the list. 1. 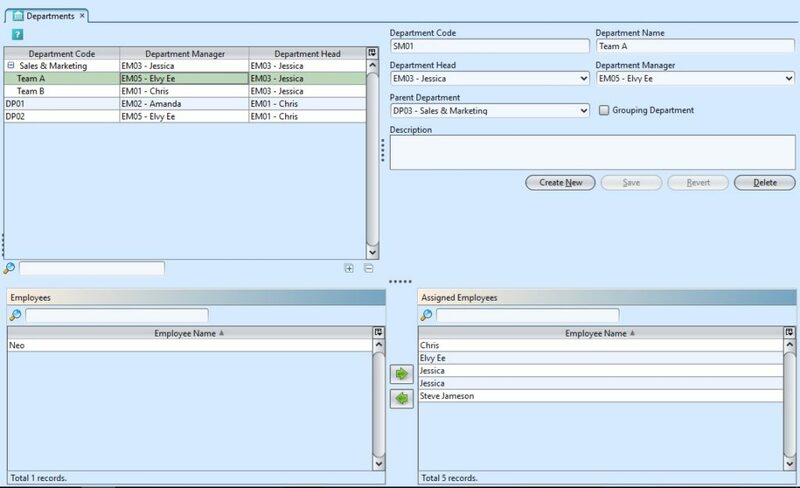 Select a department to assign employee(s) under the department. 2. Select employee(s) from “Employees” list. Click on the “ ” button to assign the employee to the selected department. 3. Select employee(s) from “Assigned Employees” list. Click on “ ” to unassign the employee from the selected department.